Last night I met up with the family at Riverside Park to watch Pirates 4. 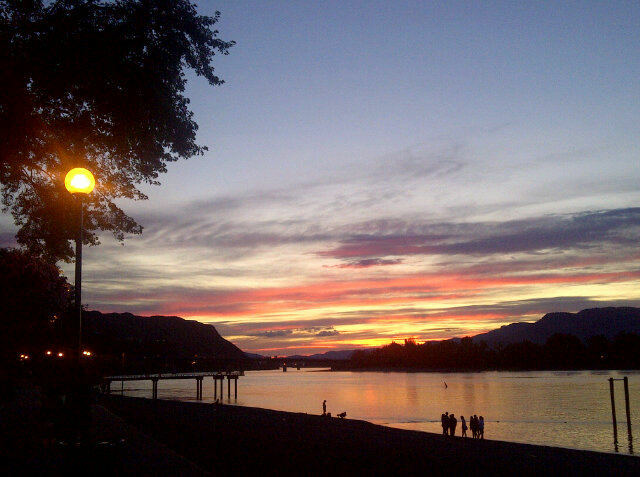 It's nights like last night that I love living in Kamloops. It was the perfect summer night. Great entertainment (whoever thought of playing movies outside on giant inflatable screens is genuis! ), great company (I love my family), and a gorgeous sunset!! !